We all have a moment in our day when we wish we could feel a little more energized, more relaxed or something to relieve us from that mid-day headache. Aromatherapy could be the answer to help heal and ease these every day ailments. 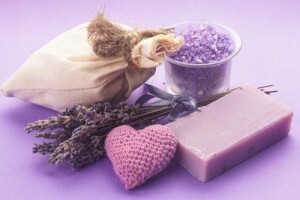 What is aromatherapy? Also known as essential oil therapy, aromatherapy is the use of natural essences extracted from plants and flowers which are then used to promote balance in the body and mind. Improves digestion and so much more! Complexions Spa is excited to introduce a new way to experience the benefits of aromatherapy through our . Using all natural and holistic ingredients, guests are able to design their own aromatherapy body products customized to their specific needs. Not only can you use this custom product during your spa service, you can use it at home to extend the benefits of your treatment. We invite you to enter into this simple, engaging and fun experience, and design a signature aromatherapy blend for yourself. You can create thousands of beautiful custom essential oil blends, creating an authentic and personalized spa experience. Our sense of smell is the strongest memory trigger out of all five senses. When you experience aromatherapy during a relaxing spa treatment and then use it again at home, your mind and body will be brought back to the serenity of that moment. You’re invited to an Aroma Bar Party! Join us as we unveil this exciting new product and learn how to customize your own aromatherapy oils.